Cats love different types of furniture, but the price of cat trees and perches can be outrageous. 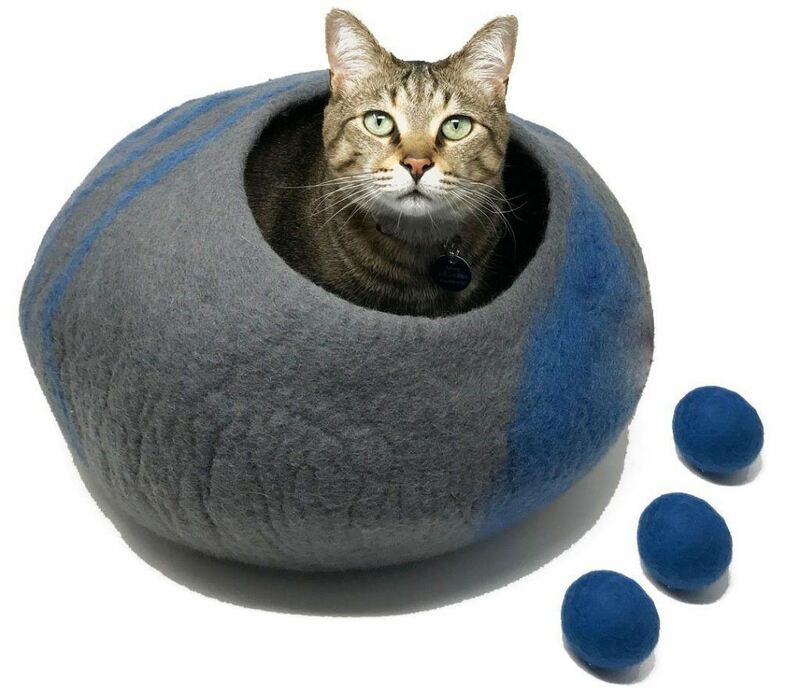 Well put your credit card away and grab a hammer 'cause we've searched through the web for some awesome and inexpensive cat furniture you can do yourself. Cats love to look out the window and take a snooze in the warm sunshine. Give your cat both with this DIY window basket cat bed. The instructions as simple enough to follow and uses a cat-size sturdy basket, wall brackets and some thick twine for added support. Don't throw out that heavy-duty box and extra fabric when you can turn it all into a cool cat hangout for your feline friend. All you need is 1 yard of fleece fabric, a cardboard box and a few other household items to make your cat a kitty hammock to sleep in; comfy and fun! Every pet parent has a scratching post that has "had the biscuit." The sisal or carpet has been in tatters for years and the cat will no longer use it. Well before you toss it, we've got the instructions to refurbish it. This tutorial will take you step-by-step through the process and before you know it, you'll have a whole new post for kitty to scratch at. Plus, you can finally have one that matches your decor. Take an ordinary cardboard box and turn it into a fun and fashionable kitty playhouse. Go super stylish or plain and simple, either way, your cat will love the privacy and coziness of her very own playhouse. It can be put together in a matter of hours (depending on how fancy you make it) and the best part is, it's totally recyclable. Leave it to Ms. Stewart to come up with this handy and all-natural cat perch. This design incorporates an old thick branch of wood and a sturdy platform piece to create a beautiful design that your cat can scratch and perch on. The instructions aren't difficult, you just have to find the appropriate piece of fallen tree. Lowe's has come up with a brilliant idea of incorporating cement forms into kitty playhouses. These cylindrical tubes are sturdy enough to be stacked upon each other or just left as a single. They give you a step-by-step tutorial on how to cut and carpet the tubes into a fashionable and functional piece for your feline friend. Plus, it's being listed as a beginner-level project! This project may not be for the beginner, but an experienced carpenter will have a blast making this cat tower. The design is for a 6 foot tower, but can probably be cut back to individual preferences. 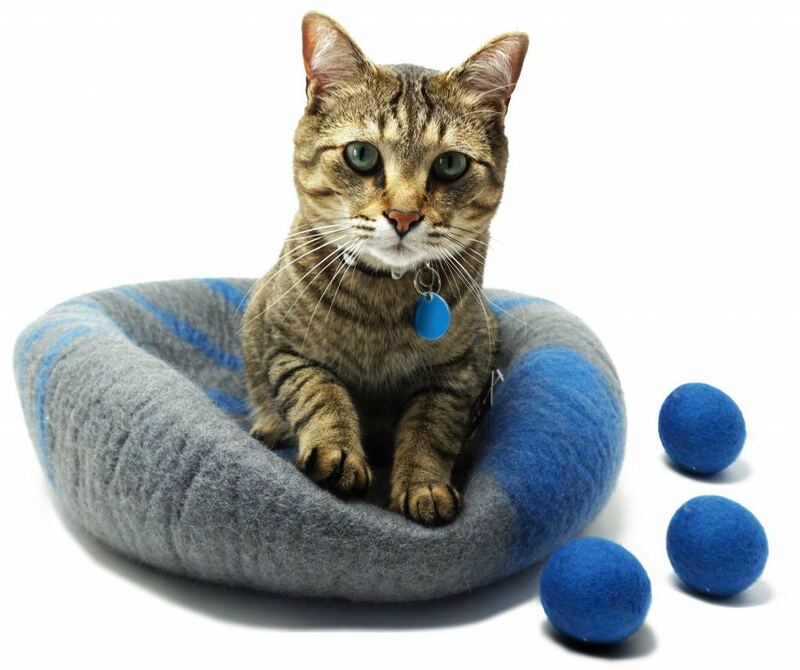 It includes perches, platforms and carpeted surfaces for resting, climbing and scratching fun. The step-by-step instructions will guide you through the entire process from start-to-finish. Once again those cement forms are being put to a creative use in this practical, yet stylish kitty condo/shelf with old shutters. Paint the shutters and cement forms to match your home decor, stack, secure and add a topper and there you have it; a beautiful place for your cat(s) to hang out. Don't have any old shutters? Shop at flea markets, garage sales or ask your friends, family or neighbors if they have any lying around. Okay, so this DIY may not be for the novice, but it looks spectacular! This ultimate kitty tower will not only challenge your carpentry skills, but once it's finished, you're going to be the envy of your friends and family. Here's a little tip, don't share these DIY instructions so you'll have a one-of-a-kind piece. Another flea market find (or even in your own garage) is the vintage wooden ladder and a wooden crate. 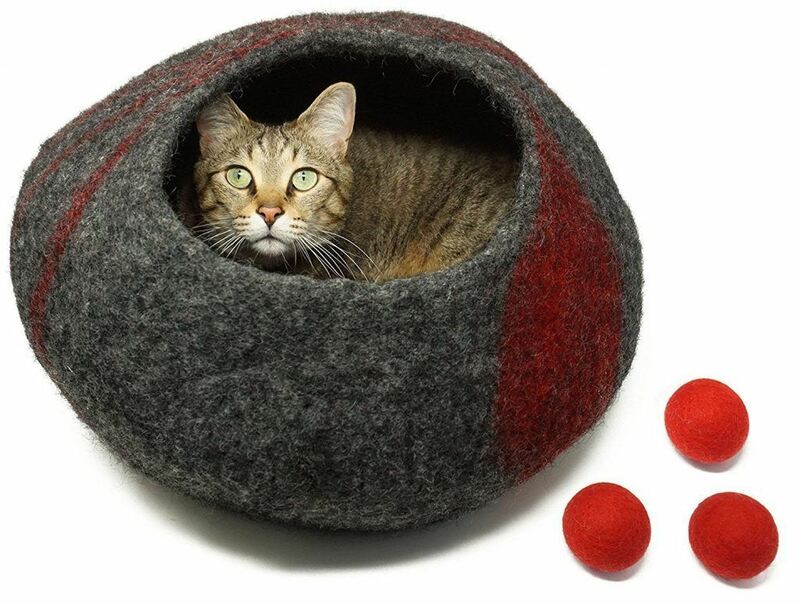 This makes a perfect place for your cat to hang out. Add the crate and a nice pillow and your cat can now nap away the day. Paint the pieces to match any decor, put in front of a sunny window and your cat will be in kitty heaven. Plus, it's no big deal if she scratches it. You don't have to spend a bundle on cat furniture when it can be fun and functional. 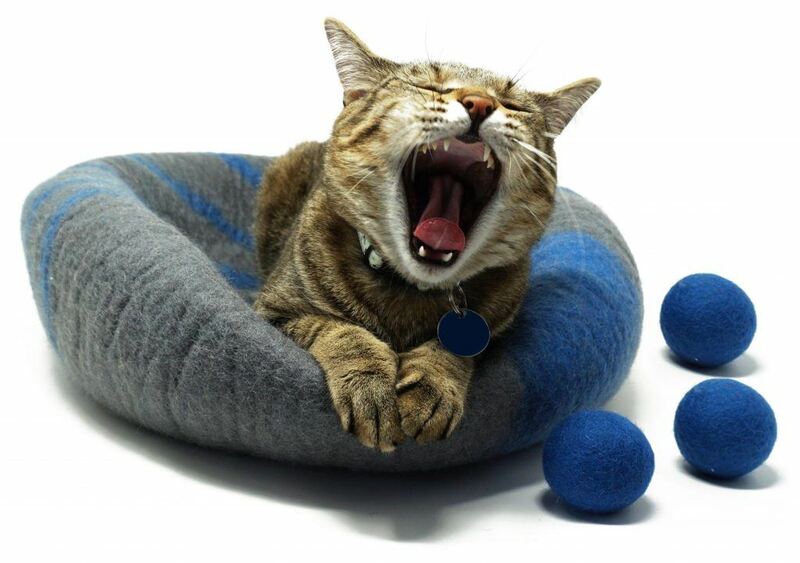 Try one or all of these DIY projects and watch your kitty go crazy for your creation.